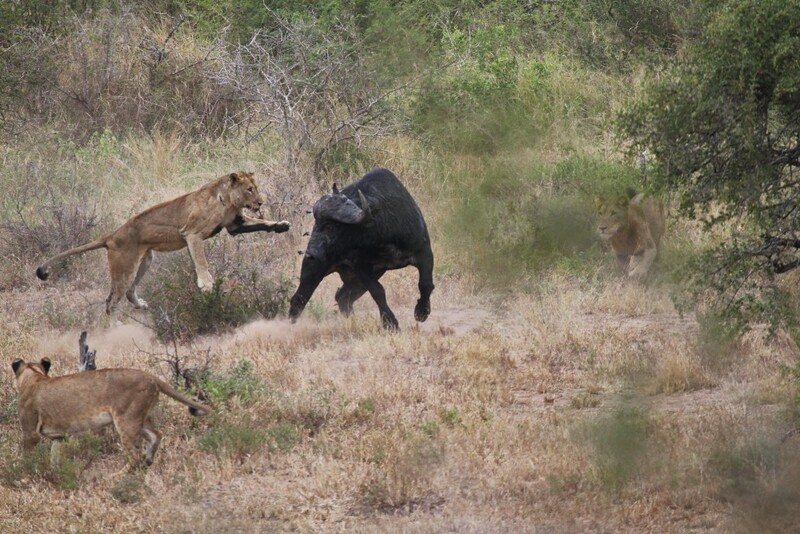 I was a witness to an incredible battle between a buffalo and the 6 lionesses that ambushed it at the Mazithi dam, south of Satara, Kruger National Park on Sunday. 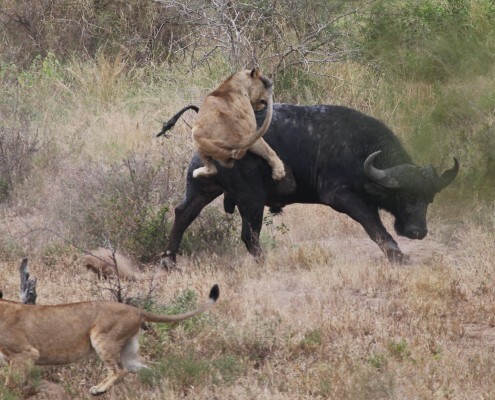 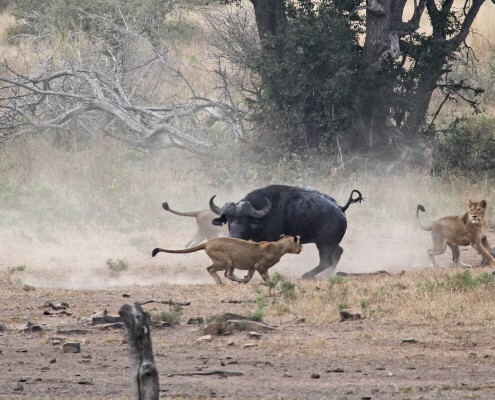 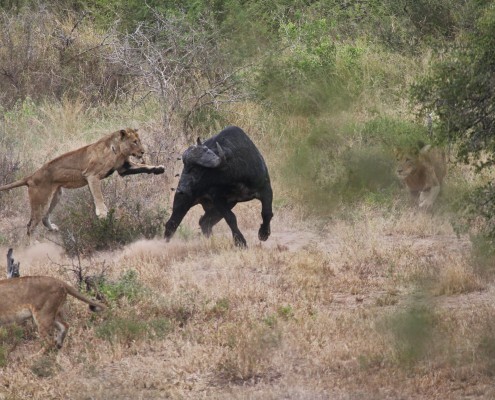 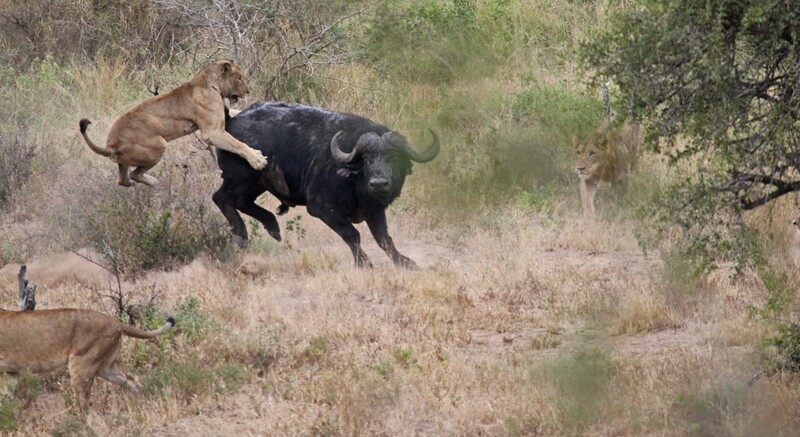 The buffalo continuously charged the lions, keeping them at bay, whilst they worked as a team, darting in from all directions, trying to disorientate the huge buffalo. 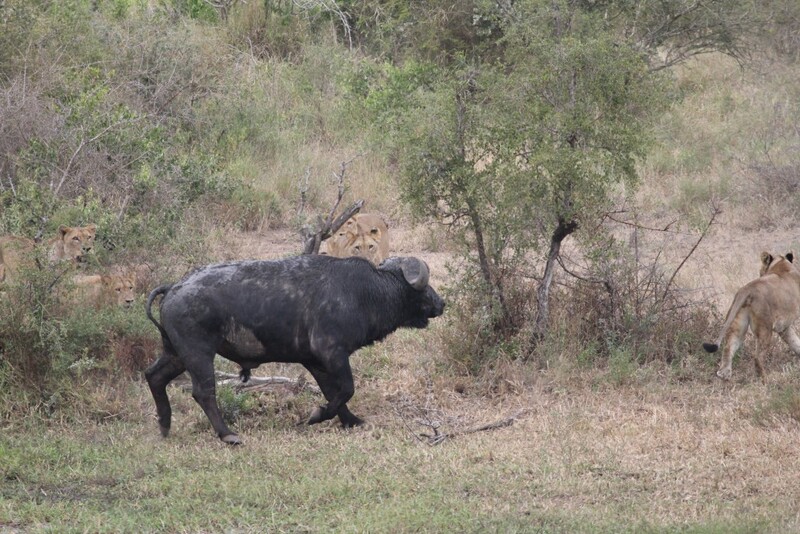 The buffalo kept stopping in the middle of the frenzy of movement, almost to take stock of its precarious situation, being totally outnumbered but the lionesses just sat patiently and gave the buffalo the stare! 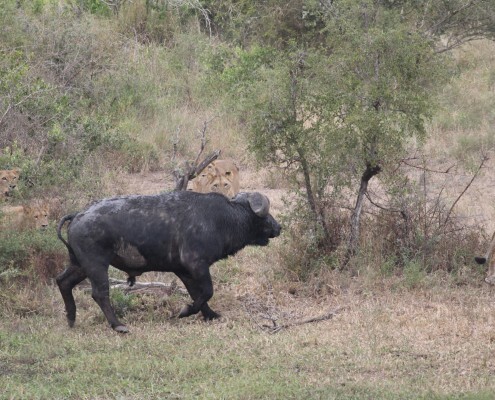 It looked like a lion kill about to happen when the lions started leaping on to the buffalo’s back, but he kept swirling and charging, all the time edging towards the dense bush. 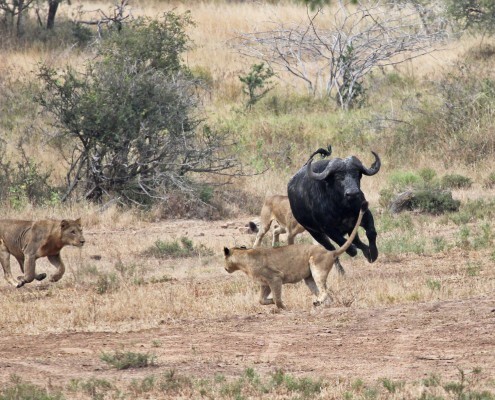 Using the bush as cover, he ran through the convoy of vehicles and escaped into dense vegetation on the other side of the road. 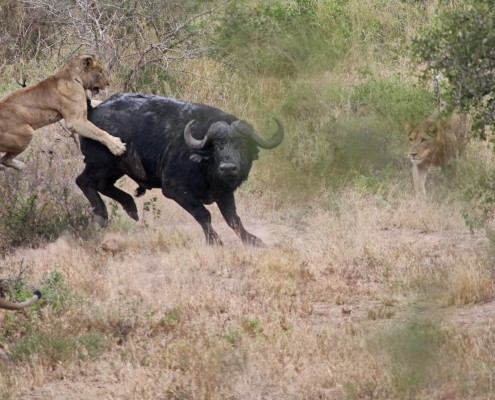 An amazing escape, and it was the big buffalo that did the outwitting… this time!